Lepidopts are short and long, their eyes roughly level with a grown human's upper abdomen. No live Lepidopts have yet been seen. Lepidopts appear to make heavy use of robots and artificial intelligences, many of them borderline sentient, and some of them crossing into full sentience(either by accident or intentionally). 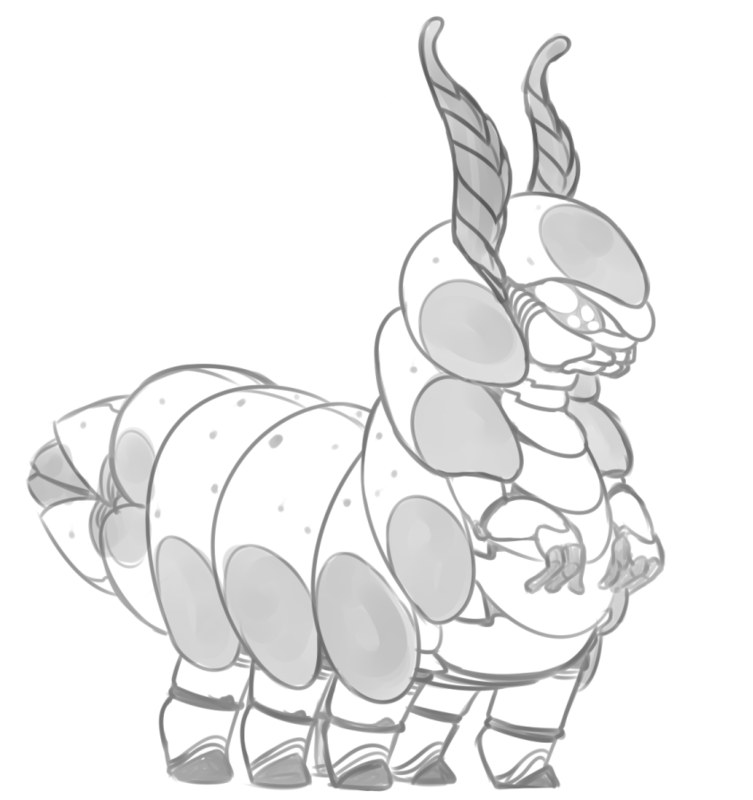 Lepidots also make use of cybernetic enhancements to make up for their own physical shortcomings, regularly improving their bodies with additional, and superior, limbs, senses and Mind Machine Interfaces for seamlessly commanding drones or using computers. Lepidopts and Cephirids appear to have been, if not outright allies, then at least in enough contact to have FTL connections between each others' settled worlds, to know each others' languages and to have some equipment labelled in both languages. *HEAT warheads halve armor when calculating damage.